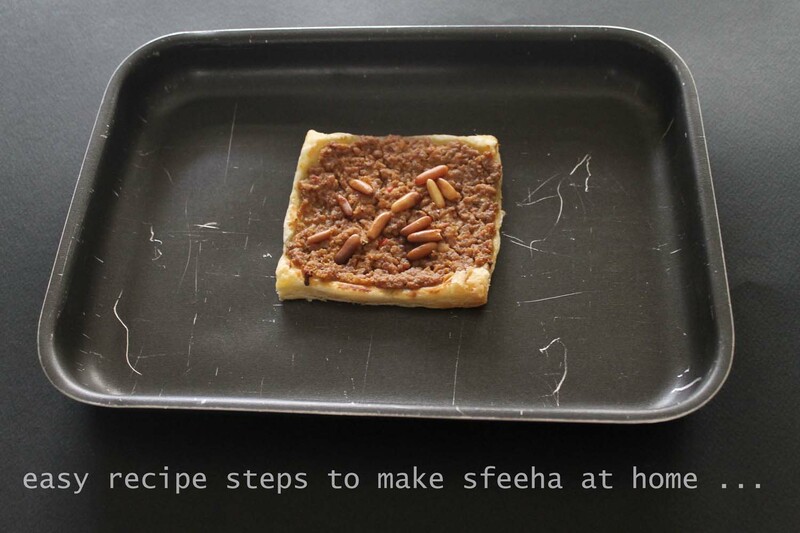 Once you try a Sfeeha, you are hooked. 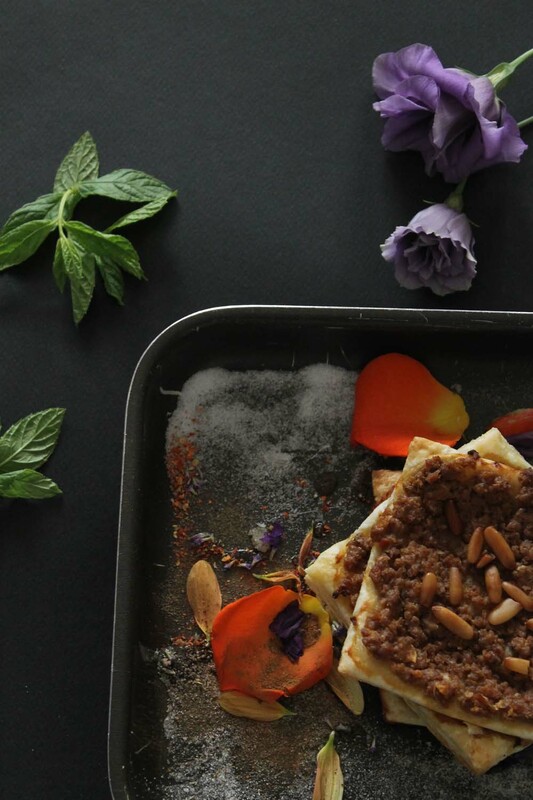 This Middle-Eastern lamb pine-nuts pie or savory pastry taste like heaven, they are traditionally served as an appetizer, sometimes with mini pizzas and other savory pastries as finger food. Sometimes they are made in bigger size and quantity to replace a main meal for lunch. Ask any Middle-Eastern about them and they must have a favorite place or recipe. The best part is that wherever you have them, they are slightly made different. 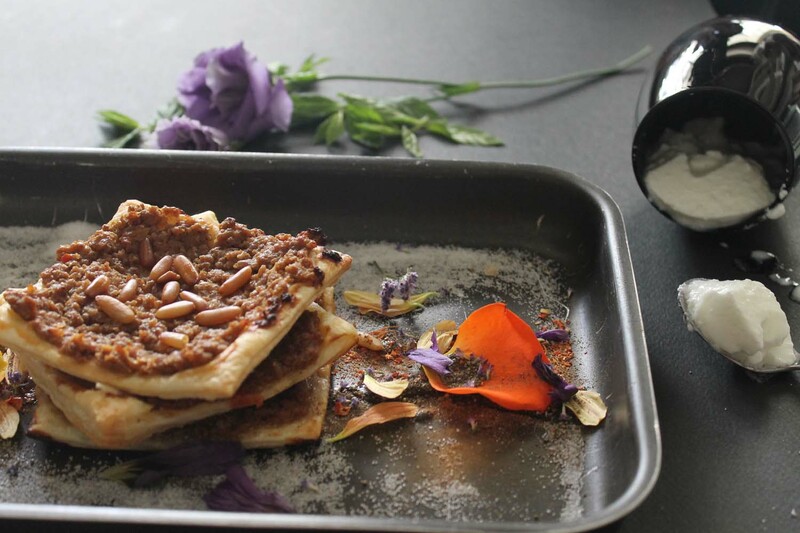 Sometimes the pastry is very thin, sometimes it is thick, sometimes spices are added, sometimes it is just concentrated with meat and onion, some people eat them with yogurt, some eat them with tahini, either way, and anywhere they are mostly very tasty. 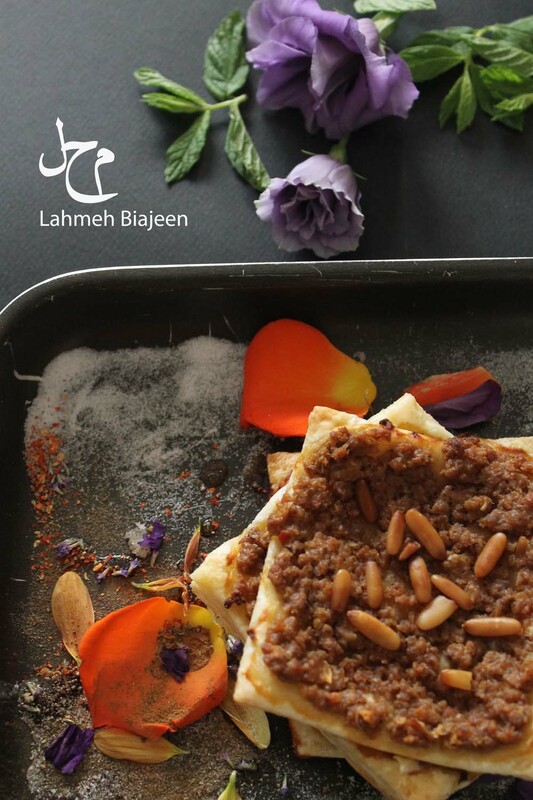 My mother’s recipe below is really worth millions, she makes one of the best Sfeeha I have ever had in my life, not just because they are my mothers, but really the taste is just exquisite. You can easily remove some of the ingredients for a different juice, and it is up to you how spicy you wish to make your Sfeeha. All pictures are taken with a CANON 70D, give this recipe a try and share your experience with me on this blog. FINALLY CRUSH THE RED ONION WITH AN ELECTRIC MIXER. MIXX THE ONION WITH THE MINCED MEAT. ADD ALL THE FLAVORING SPOONS OF SPICES AND JUICING INTO THE MEAT AND MIX VERY WELL. ON A COOKING TRAY, START LINING THE PASTRY ONE NEXT TO THE OTHER, ADDING 1 TABLESPOON. OF THE JUICED MEAT ON TOP OF EACH PASTRY AND SPREADING THE MEAT OVER THE PASTRY COVERING THE FULL SQUARE. SPRINKLE THE MEAT PASTRY WITH PINE NUTS. PLACE YOUR COOKING TRAY INTO THE OVEN FOR 15 TO 20 MINUTES. YOUR PIES SHOULD LOOK A LITTLE GOLDEN BEFORE SERVING. Note: Prepare your meat pies only half an hour before serving for better taste. We always serve yogurt and fresh mint on the side along with a big bowl of salad. Check out our very favorite how to make Hummus at home by clicking on this photograph.